Am I entitled to an ICLEI members’ fee? 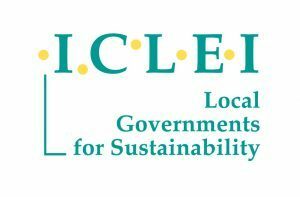 Full ICLEI members are entitled to the ICLEI members’ fee. This does not apply, however, to companies or public authorities working within a local government that is a member of ICLEI. My pre-registration was rejected. Why? If there are errors in your pre-registration form, you will receive an email explaining which errors were identified and what steps you need to take to complete your pre-registration. In most cases, pre-registrations are rejected due to a wrong fee category selected. Am I entitled to receive a discount for my registration? Discounts are only provided to confirmed speakers or confirmed exhibitors. If you are not sure whether you are entitled to a reduced fee, please contact our team at resilient.cities@iclei.org. I am a confirmed speaker / confirmed exhibitor. How can I register with a discount code? Please check our registration tutorial video on how to register with a discount code. Please make sure to keep your promotion code confidential. The system would only allow me to choose one of the payment options. Why? When the system does not allow you to choose a preferred payment option, it is most likely connected to temporary technical difficulties of the platform. Do not enter any payment details and try to refresh the page. If it does not help, inform us at resilient.cities@iclei.org or +49-228 / 976299-37 and we will fix it as soon as possible. Can I change any details in my registration form after I registered and paid? If you would like to change any general information in your registration form such as name, address, email address etc., please send us an email with the data that needs to be updated to resilient.cities@iclei.org. Payment details cannot be changed if the payment has already been made. If you chose to pay by bank transfer and would like to change the payment method, you will have to register again choosing the new payment method. You do not have to change anything in the first registration, which will be automatically cancelled after two weeks of not paying. I have lost my invoice and/or registration confirmation. Do I have to register again? You do not have to re-register. Please contact resilient.cities@iclei.org informing us what document(s) is/are missing and we will send it/them to your email address again. I cannot attend the congress, but I would like my colleague to replace me. What do I have to do? If you have not completed the payment yet, please inform us of the change and we will cancel your registration. Your colleague will be asked to register by himself/herself. If the payment has been completed, please send an email to resilient.cities@iclei.org with the following information regarding your replacement at the congress: name, last name, title, address, phone number, email address and any other relevant information. We will make the respective changes in our system and send the updated documents to your colleague. For the full substitution policy, please read our Terms and Conditions. I would like to cancel my registration. What do I have to do? You can ask for a colleague to replace you and inform us accordingly (see point above). In case you cannot find a replacement, different conditions apply for cancellation depending on when it is made. Please read our Terms and Conditions for detailed information on our cancellation policy. I need a visa for Germany. Can you help me with that? We can issue a visa support letter for you if you made your request via the registration form. We will issue the letter only after your registration has been approved and we have received the payment of the congress fee. We recommend you to start your visa application as soon as possible. The German embassy takes a few weeks to process visa requests. Therefore, we generally only issue visa support letters up to three weeks before the congress. Is there any funding available for congress speakers / participants? Depending on the final congress budget, we might be able to assist a limited number of accepted speakers/participants and cover their attendance costs. Should you wish to apply for funding please fill out this funding request form and send it to us at resilient.cities@iclei.org. Please note that the priority to receive funding will be given to speakers and representatives of Local Governments from developing countries, as the Resilient Cities Congress has cities and municipalities as a core target group. After registration, where can I find information about my stay in Bonn? For accommodation, you can choose to either book a room at the congress venue, or you can use the bonn-region search tool to explore alternative accommodation options. Accommodation booked through this website comes with a free ticket for local public transport, which includes travel to and from airport (e.g. onward travel from Cologne/Bonn airport on airport bus SB 60), as well as travel within the Bonn area. For more information please refer to our practical information page.